The fields on this page are mapped to Service items in QuickBooks Online. 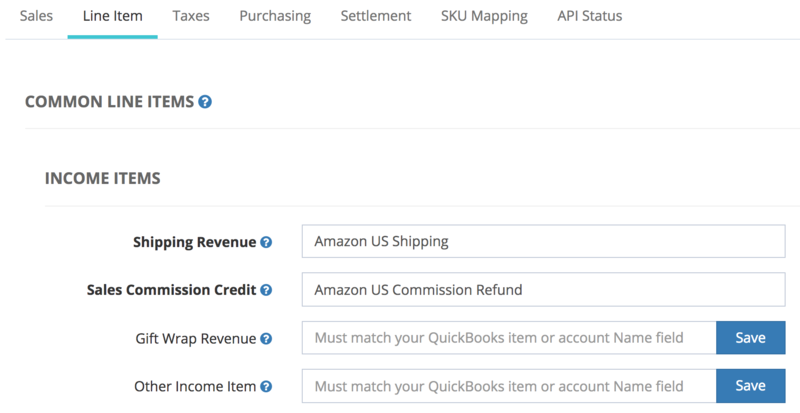 You'll need to create the Service item in QuickBooks Online under Sales > Products and Services. Click on the button below to learn about services and how they're connected to the Chart of Accounts. Shipping Revenue is the income you receive from Amazon for shipping orders. Sales Commission Credit is a refund of the referral fee on item price you paid when customers are refunded. Gift Wrap Revenue is the income you receive from Amazon for gift wrapping. Other Income Item is the what we'll use for all other unmapped sales income.